Online video has long been associated with short video (hence our company name, “MiniMatters”). Yet the 30-minute long Kony 2012 video surprised us all by getting millions of views, and more and more people are becoming accustomed to streaming TV shows and full-length movies online. What length plays well for YouTube videos these days? And how does the appropriate length differ for the different types of videos your organization may be considering putting online? What’s the best video length YouTube allows? 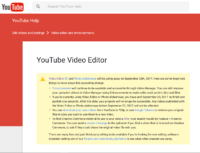 When you first sign up with YouTube, your account will be limited to videos under 15 minutes, until the account has been “verified.” (To see how, read through to the end of the post.) Once “verified,” you can post any video that doesn’t exceed 20GB. Practically speaking, this means that hour-long keynote speeches and training sessions from your annual conference are well within reach! If encoded properly, the videos will still look excellent even if not at the absolute highest quality resolution. On an average day when we were drafting this post, we found that in the top ten most popular YouTube videos, the shortest was 42 seconds, and the longest was 9 minutes and 15 seconds. The average video length was 4 minutes and 20 seconds. ComScore reported that in January the duration of the average online content video was 4.4 minutes. Basically, it seems like short video still rules the day on YouTube, but that there is a range of lengths. In fact, YouTube has seen fit to acknowledge these different lengths, especially those at the edges of the spectrum by offering viewers the chance to filter their video search by duration. You can search on whether a video is “short” (less than 4 minutes) or “long” (greater than 20 minutes). What does this mean is the best video length for you? Make sure to start off energized, and get the important stuff in. Your audience will start to disappear over the length of your video. Wistia reported that for a video of 4-5 minutes, fewer than 60% of your viewers will still be with you–against 75% for a 1-2 minute video. Don’t hold your call to action to the end, especially for longer videos. Consider a clickable annotation that appears in the first few seconds, like this one for SOS Children’s Villages – USA. On the other hand, don’t ruin a great speech by breaking it up. If a speech has been designed as a single continuous speech, keep it as is and allow the audience to sit back and experience the full impact. Need to upload a video of this length but don’t yet have a verified account? As we promised, verifying your account is relatively easy, as long as your are in “good standing” with YouTube. Once logged in to Google, go to www.youtube.com/verify and follow the directions that appear on the screen to download an html file. Once you’ve uploaded the file to your root directory—a file sharing program like Filezilla might be helpful here—click the link to check that it worked, and click verify. You’ll also be able to link your own website directly from our videos once this is complete, as we described in a recent post.